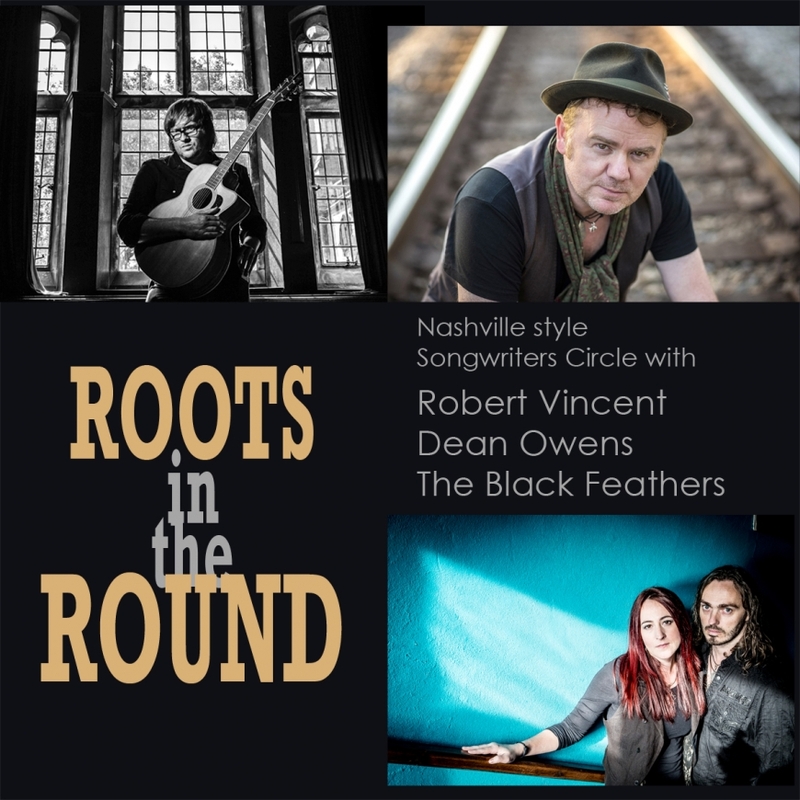 Exhilarating Nashville style Songwriters Circle, with some of UK’s most exciting singer songwriters – Liverpool’s own award winning Robert Vincent, Scotland’s finest in Dean Owens and the hotly tipped The Black Feathers. Upliftingly melancholic songs, laced with rootsy Americana, country, blues and harmonies that will raise the hairs on your arms and warm the coals in your gut. Award winning singer/songwriter from Liverpool, continuing that city’s notable reputation for producing great songwriters and performers. Robert was voted one the top 20 acts at the 2016 Americanafest Nashville, courtesy of Rolling Stone. He was also the recipient of the inaugural ‘Emerging Artist’ UK Americana Music Award – personally selected by legendary BBC Radio DJ Bob Harris. Robert’s recent album I’ll Make The Most Of My Sins (At The Helm Records) is a record that totally embraces the varied influences that make up the ‘Americana’ genre, from Emmylou to Waylon Jennings to Pink Floyd. Dean Owens is one Scotland’s finest singer/songwriters. Armed with a searingly soulful voice, skillfully crafted stories and earworm inducing melodies, he is a compelling and engaging live performer, with an emotional hurricane of stories and songs. He can rock up a storm, with subtle flashes of roots and twang, and break your heart with the next inflection. In September 2017 he became the first Scottish musician to be officially invited to showcase at the prestigious Americanafest in Nashville. Southern Wind – his 7th solo album – is scheduled for release in Feb 2018, on At The Helm Records. The ability to write songs that are both modern and ancient is a rare thing. The product of an arcane art of weaving in traditional influences so thoroughly that they become the warp and weft of fresh creations. The Black Feathers, made up of Ray Hughes and Sian Chandler, are two such talents.